Purchasing this Royal Mail Prepaid Returns label will give you access to the Royal Mail Prepaid Returns Label Generator saving you money on your returns or unwanted items. Simply purchase this item, and we’ll redirect you upon payment and we’ll also send you a link via email. Must be less than 20kg and the length plus twice the diameter not exceed 104cm, with the greatest dimension being no more than 90cm? Please remember to include your RMA Number, you can get this number once a return request has been opened. Items which are sent using a courier, once your order has been despatched you will receive an e-mail from us with confirmation together with a tracking number. If you do not receive this e-mail within 5 working days of us receiving your cleared funds, please complete ticket request above. 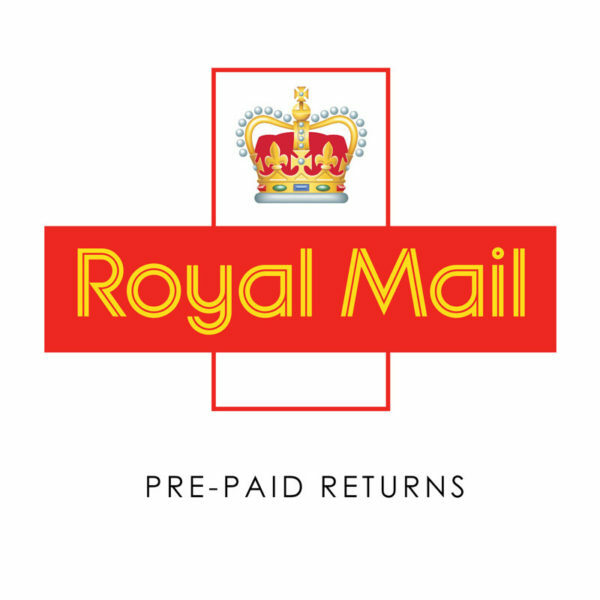 Your order will normally be despatched within 24hrs on working days (Monday to Friday) of receipt of cleared funds. Please allow up to 10 days for a cheque to clear where payment is by PayPal we will only deliver to the registered and confirmed address unless otherwise agreed before payment is received. We’re committed to selling high-quality products we hope you’ll enjoy using, but we also know that, for one reason or another, there may be a time when you need to exchange or return something you’ve bought. You must notify us of your intent to cancel within 7 days of the date of delivery to your address. Returned items must be in their original and unused condition, complete with all parts, accessories, original packaging and the original invoice. A full refund of the product cost only will be processed. The Buyer is responsible for return shipping costs and insurance. You must notify us that you are returning your order as soon as it develops a fault and you will be responsible for the return as all items are return to base warranty. In the unlikely event of receiving an incorrect order or substituted item, please accept our apologies and complete ticket request above to inform us of our mistake. Please return the item in its original condition, and upon receipt and subject to stock, we will ship your correct item or offer a full refund. Please enclose the return postage costs which will be refunded. All returns, faulty & damaged products require a RMA number with your name & address in the package.